So, I ordered a new pair of boots. I hate being cold in winter and I feel that the cold always comes from the ground, so good winter shoes are always a must. And since I only rarely wear trousers, winter shoes eaquals boots. I basically live in boots the whole winter and it always feels strange the first day I stop wearing them some time in March. 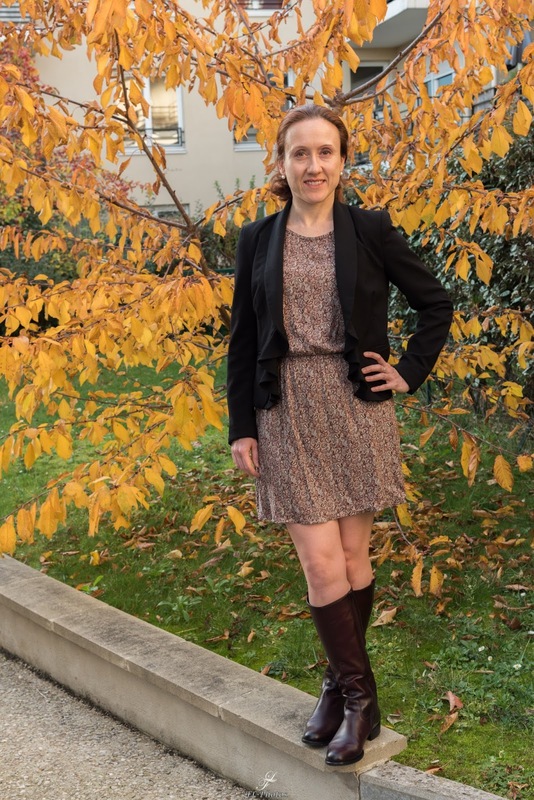 This year, I ordered wine colour boots, for a change. 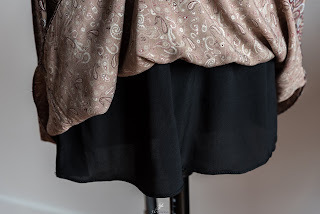 And immediately, I thought about this fabric which was in my stash since ever - actually, it was one of the first fabrics I bought four years ago. 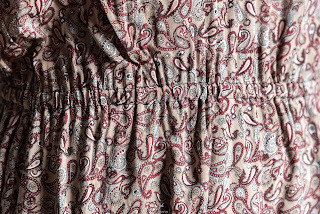 The thing is, it was a grey-bordeaux paisley viscose and I always had this strange "what-was-I-thinking-then" feeling about this fabric. First, it is the wrong shade of grey which makes me look rather pale and second, it is a viscose, not really my favourite type of fabric. 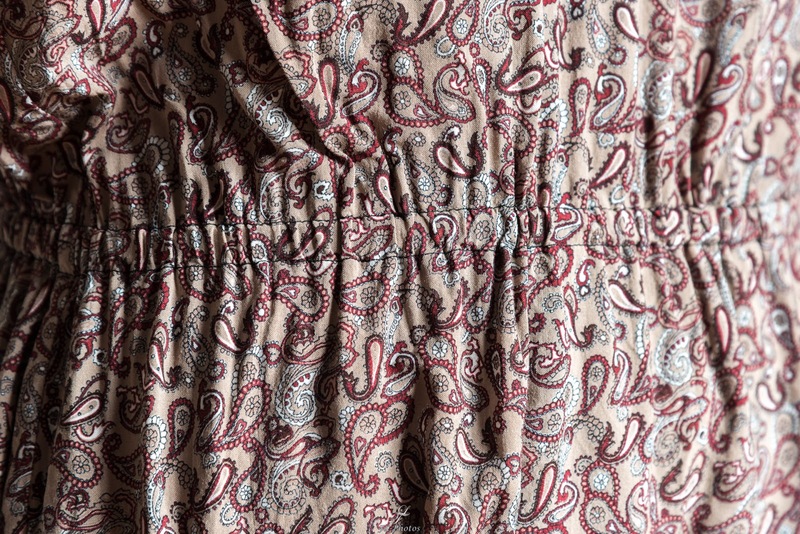 On the other hand, it has a nice and soft feel and the paisley is quite cute so I never had the heart to throw it away or donate it. 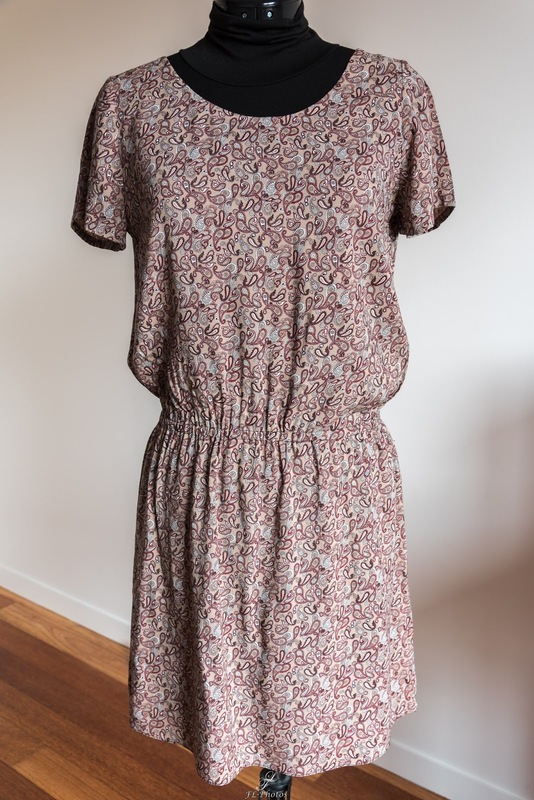 And then, out of a sudden, I had this idea of a little autumny casual dress with short sleeves which would be worn with tights, boots and a cardigan, so the grey is a minority colour in my outfit. 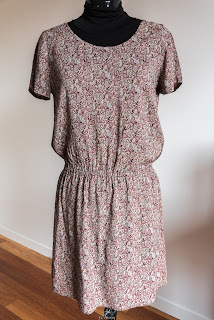 A nice one for our casual Fridays, also (I am not a great fan of casual Friday at the office, as for me jeans equals not-comfy and I do not like wearking sport shoes either, so I alwasy try to wear some of my more casual dresses so as not to be too dressed) I was quite enchanted by the fact that I found a project for this fabric, so I started sewing it almost immediately. The dress is based on this model, already sewn twice. It is a simple and very quick make, actually. Both of my previous versions were entirely lined (because the main fabric was half transparent), but for this one, I wanted to keep the soft viscose close to my skin. In the end, I decided to line only the skirt portion, because tights, you know. 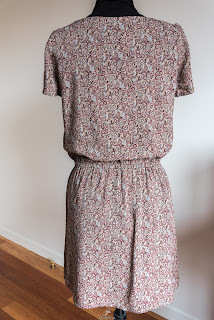 I felt somehow strange to put a lining on the viscose, it was like lining a t-shirt, but whatever, it works and did not add any bulk so I am happy with it. It also enabled me to create a tunnel for the waist elastic and have a clean finish on that area. 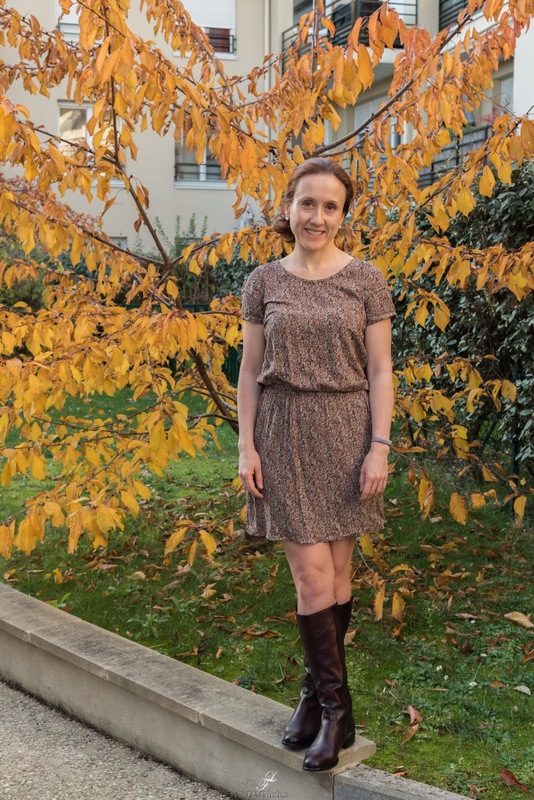 Avec l'automne tout doux tu peux encore profiter de cette jolie robe de mi-saison.